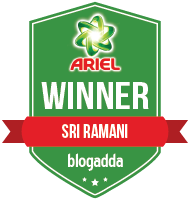 Sriz Beauty Blog: Himalaya Herbals Oil Free Radiance Gel Cream Review!!! 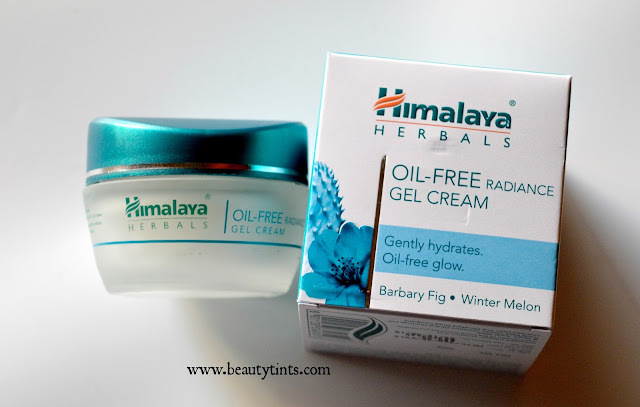 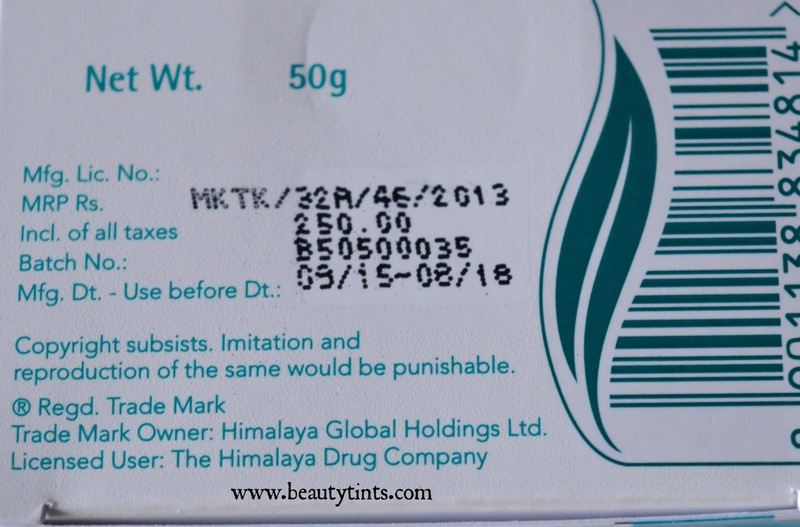 Himalaya Herbals Oil Free Radiance Gel Cream Review!!! 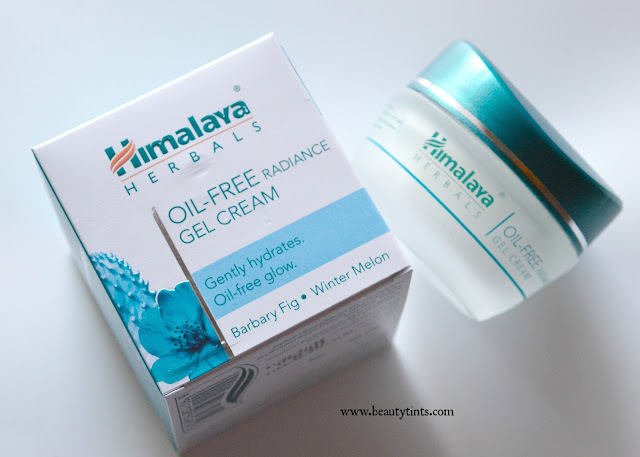 Today I am reviewing my super favorite Himalaya Herbals Oil Free Radiance Gel Cream,which I am using from past 5-6 weeks.I am totally loving it as it is just perfect for my skin for all seasons!!! Packaging :This cream comes in a little glass jar packaging with a peacock green colored screw cap,with in a similar colored carton. 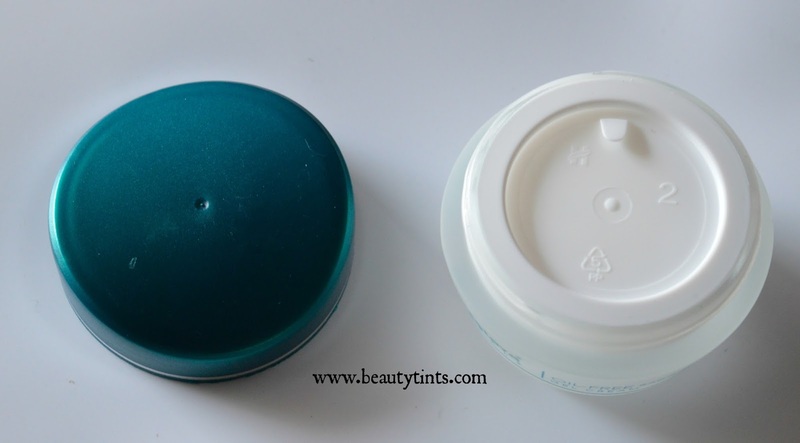 It has an inner lid for extra protection. 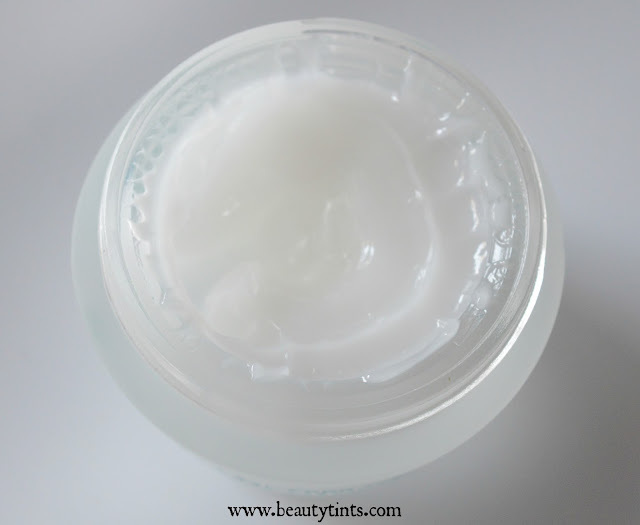 Color and Texture : This is a white colored translucent cream with gel consistency. How to Use : Apply Oil-Free Radiance Gel Cream gently over face and neck twice daily, after cleansing. 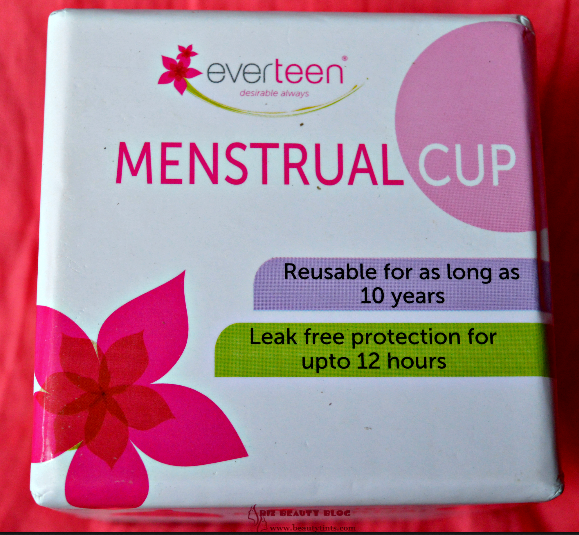 For best results, use regularly. 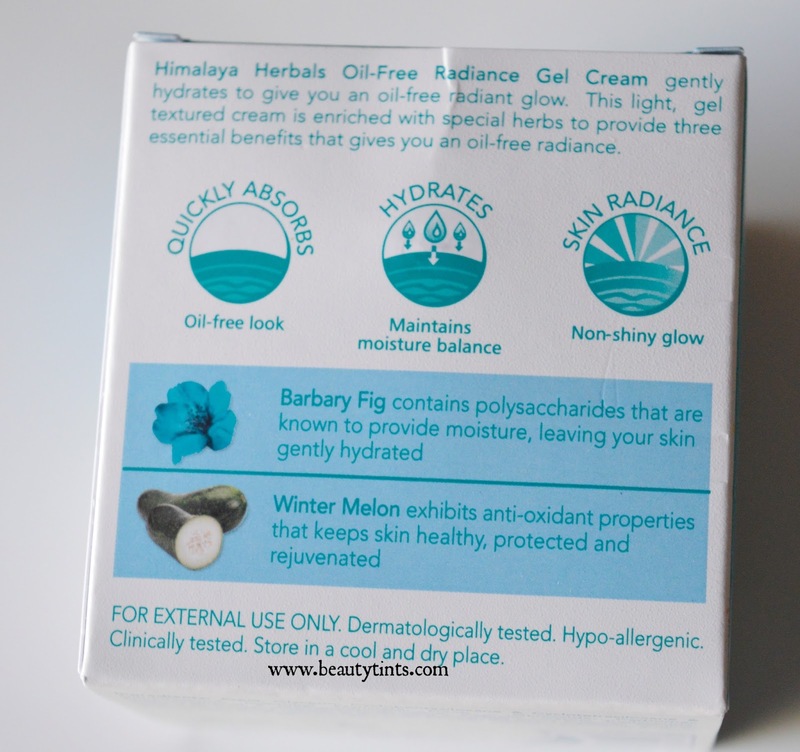 Oil-Free Radiance Gel Cream is dermatologically tested, non-comedogenic, free of mineral oils and parabens, and hypoallergenic. My View On the Product : This Himalaya Herbals Oil Free Radiance Gel Cream comes in a cute glass jar with an inner and outer lid.The packaging is travel friendly but we must be careful as it is a glass jar.As the name suggests,this is a gel cream which has a very light consistency.It has a very mild yet pleasant floral fragrance.This instantly gets absorbed into the skin and gives a nice cooling sensation to the face.It doesn't gives the shiny or oily look to the face but gives a nice matte finish to the skin.It gives a nice hydration to the skin with out being heavy or greasy on the skin.It is an excellent cream for oily to combination skin for every season even in winters as it moisturizes the skin well.On regular usage it nourishes the skin and makes it smooth and radiant.It acts as a good base under makeup.It is free from alcohol,parabens and harmful chemicals.It is enriched with the goodness of Barbary Fig which helps in maintaining the moisture level and Winter melon that helps in rejuvenating the skin.It is easily available and it may be a bit pricey for the quantity it comes but it is all worth it as it keep up all its claims!!! 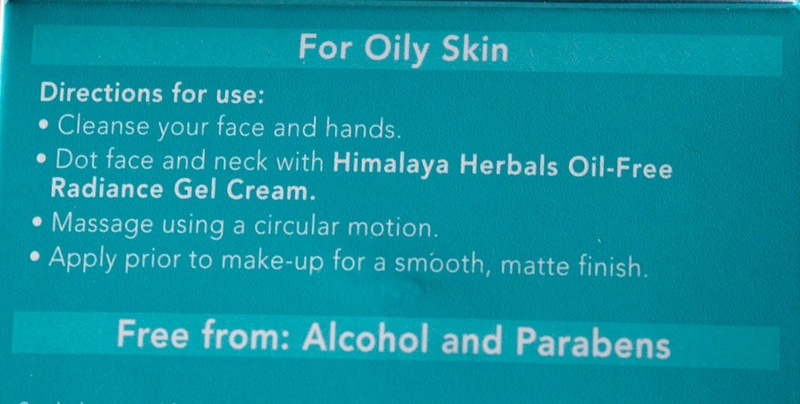 Final Conclusion about Himalaya Herbals Oil Free Radiance Gel Cream : Overall,a wonderful cream for Oily to combination skin with multiple benefits!! !